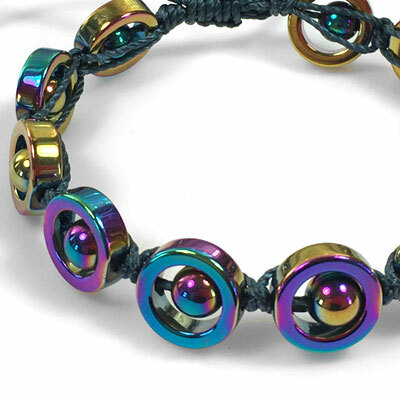 Rainbow titanium hematite round beads are framed by rings knotted with nylon cord. The nylon color is a subtle deep blue green color called Marina. The rainbow titanium coated hematite beads and rings are man-made and finished with a permanent multi colored titanium finish.